JAKARTA - The first Islamic State-linked attack on the world’s most populous Muslim nation puts more pressure on Indonesian President Joko Widodo to give the military a bigger role and add legal heft to anti-terrorism efforts. Unlike some countries facing threats from the Islamic State, authorities in Indonesia lack laws to arrest returnees from Syria and Iraq. Giving security forces greater leeway to lock up Islamists is a sensitive issue in the Southeast Asian nation, which until 1998 was a military dictatorship. Last week’s attack in central Jakarta which killed four civilians was relatively unsophisticated. 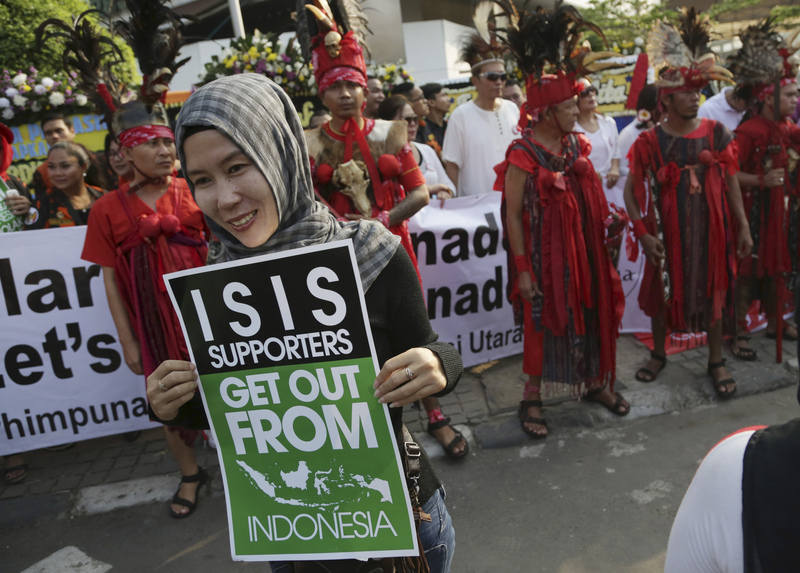 But it brought home to Indonesia — and the region more broadly — the risks of Asians going to fight in the Middle East and then returning skilled and more radicalized. While Widodo, commonly known as “Jokowi,” has urged countries to “wage war” against terrorism, he has not moved to bolster laws to tackle the threat. On Friday, national police chief Gen. Badrodin Haiti said he wanted to be able to revoke the citizenship of Indonesians fighting with the Islamic State group abroad. The country’s national intelligence agency chief, Sutiyoso, said laws are not sufficient to arrest and track extremists. He said Malaysian authorities can attach electronic tracking devices to suspects, while the U.S. and France are able to strike a balance between human rights and the need for firm action. Revising the law requires getting it through parliament, a slow-moving body where the opposition has significant clout and which includes Islamic parties that could oppose giving police more powers. If Jokowi gives greater powers to the army it could see it more involved in clamping down on those with radical views. It could also strengthen the military’s hand in the public sphere. There are already concerns Jokowi has allowed it a greater role in order to shore up his administration. Coordinating Security Minister Luhut Panjaitan, a former army commander, is one of Jokowi’s trusted advisers in the Cabinet. Under former President Suharto, the military had a broad internal security role and was implicated in human rights abuses during crackdowns on separatists, Islamic activists and democracy advocates. It was curtailed after the fall of Suharto, but still jostles for influence with the police, including in Central Sulawesi, a remote eastern province where a small band of militants loyal to the Islamic State are based in jungle hideouts. The army has been pushing to take over counterterrorism operations from the police. 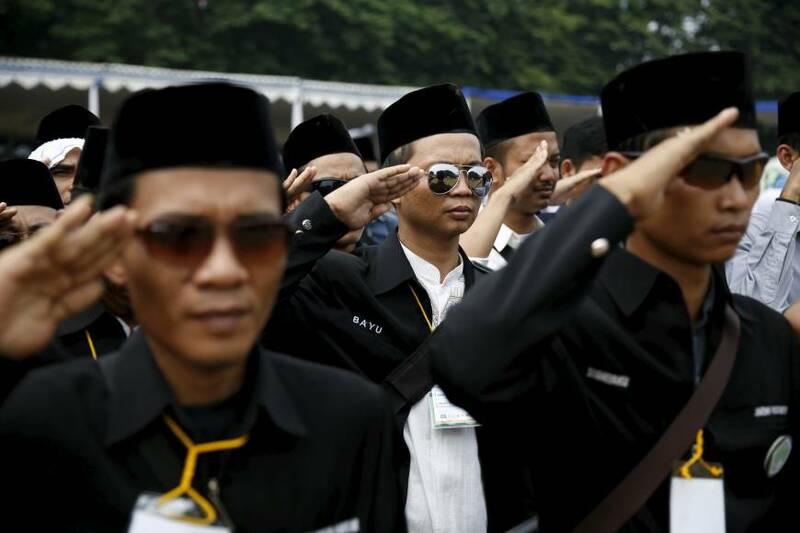 Indonesia, where most people practice a moderate form of Islam, has struggled against a violent radical fringe seeking the imposition of Shariah law since independence in 1945. A group of militants, many of whom trained in al-Qaida camps in Afghanistan, staged large-scale bombings against mostly Western targets in the 2000s, prompting a crackdown that severely weakened the movement. Last month Jokowi’s government rejected an appeal by Saudi Arabia to join its coalition against the Islamic State group, saying it lacked details. A devout Muslim himself, Jokowi has spoken out against extremism, but his rhetoric and action against drug smugglers, for example, has been more pronounced. Money for Thursday’s attack was sent by an Indonesian militant, who was released from jail in 2012 and is now in Syria, said Haiti. One of the attackers had been convicted of attending a militant camp and was released from jail in Jakarta last year, said Haiti. Since the early 2000s, the Indonesian government has funded nationwide programs aimed at blunting the appeal of extremist propaganda and “deradicalizing” convicted terrorists in jail. There have been several cases of militants returning to violence after their release. 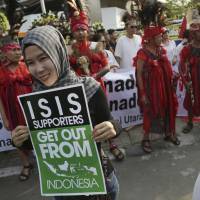 As well as boosting laws to deal with returnees, Indonesia needs to tackle radicalism online to curb recruitment. The government shut 10 websites and social media accounts after the attack, Communications Minister Rudiantara said in an interview Friday. “From a policy point of view, they need to act against IS by finding a legal way to arrest returnees, stop people from getting to Syria and, most importantly, stop extremist religious figures from recruiting,” said Paul Rowland, an independent Jakarta-based political consultant. He was using an abbreviation for the Islamic State group.